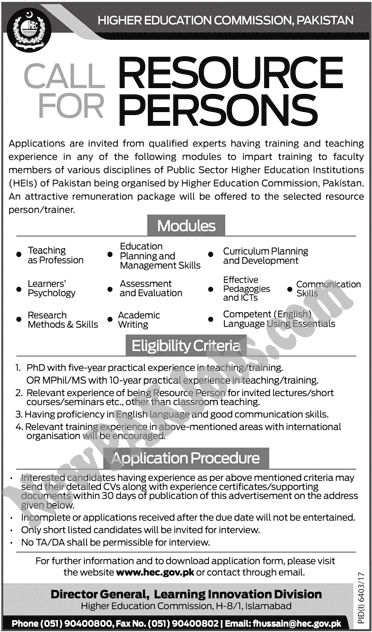 (HEls) of Pakistan being organized by High-er Education Commission. Pakistan, An attractive remuneration pac Rage will be offered to the selected resource person/trainer. Director General, Learning Innovation Division, Higher Education Commission, H-8/1, Islambad. Incomplete or applications received after the due date will not be entertained. Only short listed candidates will be invited for interview.